Being able to accurately type a friend or family member can take a lot of hard work and concentration, but it can also be a great way to understand and relate to them better! Each unique individual has little giveaways that can reveal their type. 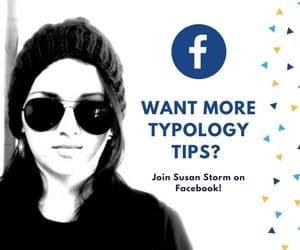 My hope in this article is that you can get some easy, practical tools for identifying personality types through conversation and an understanding of basic type theory. Keep in mind, this is a very brief guide. 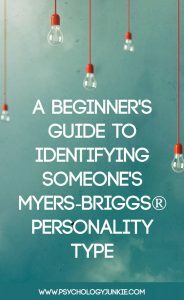 These tips will give you a starting point for assessing someone’s type, but study and self-analysis by the individual are extremely important. Try not to rush typing people, and don’t force them to accept your idea of their type. Often, what we see about someone versus who they really are are two different things. For extra help with typing it’s best to look at each personality profile in depth, and it’s also helpful to read about each type’s stress reactions. Typing people can be difficult because we all put up “masks” depending on where we are and what we’re doing. This guide doesn’t take into account “unhealthy” or imbalanced versions of the types. Stress, dominant-tertiary loops, and imbalance can cause someone to project their personality in a very detrimental way. At work we may hide our inner selves to fit into a community or set of expectations. If someone is in a job that doesn’t naturally suit them, they may be relying on less-preferred functions to complete their daily tasks. At school children and adults may have to rely on less preferred functions so that they can complete the task at hand. In elementary school the teachers are made up of predominantly SJ types, which result in many children (even intuitives) relying on their sensing functions. As parents, people often show a particular side of themselves that is either nurturing or directive. Some parents who would ordinarily be on time, organized, and decisive may feel flustered, disorganized, or indecisive when they’re trying to thrive in a large family. If someone has a thinking preference, this doesn’t mean they are cold or unkind. Likewise, if someone has a feeling preference, this doesn’t mean they can’t be logical or objective. All types use feeling and thinking, but prefer one over the other. Remember that the thinking/feeling dichotomies are preferences and focus in on how people decide. Thinking types tend to stay objective when they decide and feeling types tend to focus on harmony and values when they decide. Another mask to look out for is the mask of self-deception. Certain people have an idea about who they want to be, but that desire doesn’t match up to who they really are. They may unconsciously play a part to fit in or survive, but that part may be hiding who they really are inside. Introverts are harder to type than extroverts. Because introverts hide/internalize their dominant function, what you are likely seeing is their auxiliary function when they communicate with you. Introverts will not be as open about sharing their dominant function unless they are with someone they feel extremely comfortable with. When typing someone, it’s best to get them involved in a conversation that they enjoy. Try to get them to talk about themselves in a way that isn’t forced or pushy. Bring up a topic that fascinates them. Make sure they’re enjoying the conversation and really getting involved in the subject matter. This will give a better clue about what they are like without outside pressures or external demands. Si-Users (ISFJs, ISTJs, ESFJs, ESTJs) will draw on past experience and relay stories about things that have happened. They will appear down-to-earth and practical. They will favor tradition and their personal experience. They have an amazing memory for what has worked well before and use that to plan carefully for the future. They favor security and routine. They are usually dedicated, loyal, and responsible, and they strive to be helpful and supportive of their families and communities. Se-Users (ESTPs, ESFPs, ISTPs, ISFPs) will absorb all the details and changes happening in the present moment. They are in tune to their environment and are skilled at making the most of “right now”. They are adaptable, easy-going, and adventurous. They often have a keen physical awareness and know how to maneuver themselves gracefully through ever-changing physical roadblocks. They enjoy getting hands-on with the outside world and interacting directly with ideas and opportunities. Ni-Users (INFJs, INTJs, ENFJs, ENTJs) are extremely future focused. They take a bird’s eye view of the world and try to determine how things will play out by noticing patterns, clues, and significant connections. They are attracted to the existential, the unknown, and the theoretical. They have a very singular focus and tend to have a very strong plan and focus for their life. They have sudden insights or “hunches” about how things will play out that may seem to appear out of nowhere. They are intense and strategic. Ne-Users (ENFPs, ENTPs, INFPs, INTPs) are driven by the potential in everything they see. They can extrapolate endless theoretical possibilities from a single idea. They are creative and imaginative, and will use innovative pathways to bring their dreams to life. They are drawn to the theoretical and are determined to see what “could be”. They continuously spring forth ideas and possibilities and have a restless urge to see them become a reality. They love to brainstorm and talk about new and novel ideas with the people they meet. They are open-minded and adaptable. Ti-Users (INTPs, ISTPs, ENTPs, ESTPs) are analytical, logical, and objective. They love to learn for learning’s sake, and care little about whether or not their knowledge is noticed by the outside world. Good grades or admiration from authority mean little to them; they have an individual, independent standard they want to meet. Ti-users like to analyze, classify, and explore concepts deeply. They are less focused on pre-ordained rules and structures and are more focused on forming their own extensive blueprint for how the world works. Te-Users (ENTJs, ESTJs, INTJs, ISTJs) are decisive, confident, and productive. They tend to be hard workers who plan ahead and focus on achieving goals efficiently. They are less interested in mulling over possibilities or classifications, and are more focused on learning to put something out into the world. They thrive on making decisions and delegating to get a job done quickly. They try to ensure projects are done ahead of schedule and are impatient with procrastination and wishy-washy behavior. Fi-Users (INFPs, ISFPs, ENFPs, ESFPs) are authentic, individualistic, and driven by their values. They are determined to be true to themselves and their moral code no matter what. They are usually compassionate and are often focused on making a difference for a select cause or group of people. They feel things deeply and have a nuanced and highly personal set of values and morals that are formed independently of social norms or the environment they live in. They hate fakery or phony behavior and are determined to be “real” in all they do. Fi-users are excellent listeners and tend to be empathetic and open-minded. They are reserved about sharing their own emotions with people they don’t know well. Fe-Users (ENFJs, ESFJs, INFJs, ISFJs) are empathetic, friendly, and driven to achieve harmony in their environment. They easily pick up on the moods and emotions of other people and work to maintain positive morale with everyone they meet. They try to relate to people and find common ground and shared values. They are usually polite, conscientious, and aware of emotional needs. They know how to tailor their speech to influence, comfort, and encourage others. They are emotionally expressive and tend to share their feelings with other people. When it comes to making decisions, they focus on group harmony, values, and ethics. ISTJs and ISFJs lead with a perceiving function called Introverted Sensing (Si). Si-dominant types were considered by Isabel Briggs-Myers to be the most practical of all the personality types. They are down-to-earth, private, and reflective individuals. They are usually responsible and helpful, lending a hand in their families and communities. They tend to be punctual, respectful, and tradition-oriented. They enjoy knowing what to expect in life, and they favor security and stability in their lives. They often have a routine that they like to adhere to, and change can be very unsettling for them. When it comes to communication, Si-dominants communicate in a very straightforward, sequential fashion. They don’t use a lot of metaphor or symbolism, and they prefer to keep conversation focused on realistic life events and practical concerns. The conversation of the ISJ type will contain a lot of facts and details, and they will be very careful to make sure that their words are precise and accurate. They enjoy talking about favorite memories, or discussing interesting scenarios that have occurred throughout their week. The Si-dominant individual trusts their personal experience to a great degree. They also trust respected authorities and credentials. They like to rely on the “tried and true” technique, and this will come through in their language. They may be wary of experimenting with new approaches, and they may say phrases like “that’s just not how it’s done”. ISJ types like to have verifiable proof if they’re going to be convinced of something. They’ll want to hear phrases like “here’s the documentation”, “this is what has worked before”, “step-by-step”, “would you like time to think about this?”, “what do you remember about that?”, or “you have my word”. Always follow through on your word with an ISJ type. Dishonesty and wishy-washy behavior is anathema to them. Once their trust is lost it can be very hard to regain it. ISTJs will be much more directive and blunt than ISFJ types will be. ISTJs use Extraverted Thinking in the auxiliary position, so they will be focused on efficiency, logically delegating projects, and analyzing pros and cons before making a decision. They will be more impersonal in communication and reserved. They aren’t particularly interested in expressing their emotions or hearing about the emotions of other people unless those people are very close to them. They are great at objectively analyzing information and staying consistent. Related: Are You an ISTJ or an ISTJ? ISFJs will be much more warm and emotive in communication than ISTJs. They use Extraverted Feeling in the auxiliary position, so they will be focused on harmony, connecting with others, and analyzing the feelings of the people around them before making a decision. They will be more personal in communication and will try to find hands-on ways to help other people. Relationships and interpersonal communication are very important to them and they usually have good manners and make good hosts. They may have a harder time staying objective in decision-making. INTJs and INFJs lead with a perceiving process called Introverted Intuition (Ni). They are deeply analytical, observant, and future oriented. They are constantly trying to analyze and interpret what will happen in the future based on patterns, perspectives, and abstract clues. They are focused, conceptual, intense, and independent. When it comes to communication, Ni-dominants use a lot of metaphor and symbolism in their speech. Their speech is focused on a big-picture vision for the future, and their sentences tend to be long and complicated. They try to connect everything they are saying into a larger framework. They tend to be focused on the existential and the overall purpose of humanity. They despise small talk, and will bore easily with talk of day-to-day concerns. INJs are usually very focused on one or two particular areas of interest. Ni-doms often seem “obsessive” to outsiders. They like to explore theoretical ideas in-depth, and they tend to struggle with multi-tasking. You’ll often notice that INJs have a complex “master plan” for their life, and if they don’t, they are often compelled to create one. INJs trust their hunches, theories, and insights to a great degree. Personal experience means very little to them. They tend to be more interested in trailblazing a new path or method than relying on the “tried and true” technique. They are prone to playing devil’s advocate. INJs are fascinated by theoretical, complex problems. They are generally stimulated by phrases like “I have a complicated problem”, “Where will this lead in the future?”, “I have a goal, can you help me come up with a plan?”, or “Am I missing something?”. INTJs will usually be much more directive and impersonal than INFJs. They use Extraverted Thinking in the auxiliary position, so they will be focused on efficiency, logically delegating projects, and analyzing pros and cons before making a decision. They will be very confident and assured in their vision, and will be very goal-oriented and progressive. They tend to be bored with discussing the feelings and emotions of the people around them. They can clearly understand their own emotions most of the time (thanks to tertiary Fi), but they tend to have a harder time relating to the emotions and moods of other people. INFJs will usually be much more warm and personal than INTJs. They use Extraverted Feeling in the auxiliary position, so they will be focused on harmony, understanding the moods and emotions of others, and considering everyone’s personal needs when making a decision. They will come across as polite, friendly, and understanding. They will talk more about their emotions than INTJs, and will take on a philosophizing tone when discussing the plights of humanity. INFJs are also strategic, but with more of a focus on relationships than systems. They are usually quick to understand other people’s emotions, but they may struggle to understand or sort out their own emotions. ESFPs and ESTPs lead with a perceiving function called Extraverted Sensing (Se). They are extremely adaptable and easy-going, with a quick, kinesthetic intelligence. Se-dominants have a restless energy and desire to explore and experience new things. They love action and responding to life as it happens. They know how to make the most of the moment and jump on opportunities as they arise. They absorb all the sensory details of the world around them and are quick to notice even the most minor changes. They are adept at interpreting body language which gives them an ability to navigate social situations smoothly. ESPs are the ultimate realists. They focus on what is and are less interested in theoretical “could be’s”. Their language is straightforward, clear, and detailed. They often make skilled storytellers and are usually down-to-earth and good natured. Many ESPs are good at telling jokes and making people laugh. They like to feel a connection with other people and are generally very friendly. ESPs want to live life to its fullest, and they see opportunities for excitement and adventure everywhere. They enjoy talking about interactive possibilities, opportunities, or conquests. For this reason, they often enjoy starting their own businesses or traveling to exciting locations. ESPs tend to have good physical awareness and often have a natural physical grace. ESPs are overrepresented in athletic programs in college, and tend to enjoy physically responding to life as it happens. They are usually collected and calm in a crisis, knowing innately how to respond quickly and with a level head. ESPs trust their senses, their experience, and the facts of life. They enjoy hearing phrases like “you only live once!”, “I’ve got a surprise!”, “let’s celebrate!”, or “are you ready for an adventure?”. ESTPs will be charming, outgoing, and logically driven. ESTPs are unusual because even though they value thinking above feeling, they still use Extraverted Feeling (Fe) in the tertiary position. This means that they have an easy understanding of the moods of the people around them. They use this awareness like a tool to work a room and connect with people. ESTPs are good-humored, fun-loving individuals. They have an accurate perception of reality and are rarely pretentious. They are more concerned with action than talk and would rather express themselves through action than words. ESFPs will be authentic, friendly, and charismatic. ESFPs come across as playful and exuberant, open for any new and exciting opportunity. They are straightforward and say what they mean without hidden agendas or fakery. Like ESTPs, they are very action-oriented and prefer to be doing something rather than having in-depth, theoretical conversations. ESFPs have Introverted Feeling (Fi) as their auxiliary function, so they tend to be very private and reserved about their own emotions unless they know someone very well. They usually have a passion for those less fortunate and are concerned with helping people. ENFPs and ENTPs lead with a perceiving process called Extraverted Intuition (Ne). They are driven to explore numerous theoretical possibilities and “what if’s”. They are fascinated by the unknown, the potential, and new and novel ideas. They are highly focused on the future, and are more concerned with what lies ahead then what is happening in the moment. They are filled with a charismatic energy and a curiosity about the world and how it works. They like to innovate, experiment, and brainstorm. ENPs are open-minded, full of questions, and somewhat debative. They don’t have a problem playing devil’s advocate or contesting popular beliefs so that they can get to the bottom of a problem and understand it from every angle. They tend to be indecisive because they see so many sides to every story and may struggle with settling on one view. They like lots of time to think before making a decision. They like to have a lot of options and enjoy exploring those options out loud with people. ENPs tend to have a natural affinity for language. They enjoy using complex words and talking about unusual or bizarre ideas. When they speak they tend to jump from one idea to the next, constantly being spurred on to more and more complex questions and possibilities. Their mind is like an idea-generating machine that is constantly at work to explore more and more potential in the universe. ENPs like new and innovative ideas and have a natural distaste for the “tried-and-true” technique. They will naturally bristle at statements like “that’s just how it’s done”, “let’s do this by the book”, or anything that limits their ability to experiment. ENPs enjoy hearing phrases like “What do you think of this idea?”, “Lets brainstorm!”, “This might sound crazy…”, or “Do you have any creative input?”. ENTPs will be enthusiastic, energetic, and highly logical. Even though they are thinking types, they have tertiary Extraverted Feeling (Fe) which gives them an innate ability to “work a room” and enjoy friendly banter with a variety of people. That said, they are also intensely focused on accuracy. They enjoy good-natured debates and may enjoy arguing just for the fun of it. They are highly logical and focus on cause and effect and impersonal analysis when making a decision. ENFPs will be inspiring, creative, and compassionate. Even though they are feeling types, their dominant function is intuition and their feeling function is introverted. Because of this, they may not seem like your typical feelers. They are deeply in touch with their values and their sense of individuality, but what you are more likely to see is their never-ending ideas, their curiosity about what could be, and their enthusiastic passion for potential and new possibilities. They will focus on their values, morals, and the needs of people when they make a decision. INTPs and ISTPs lead with a judging function called Introverted Thinking (Ti). Ti-dominants are concerned with truth, accuracy, and objective analysis. They learn for learning’s sake, and are less concerned with impressing upon others their knowledge. For this reason they tend to care little about good grades or approval from authorities. They know what they know and proving to themselves that they are logical and knowledgeable is what matters to them. ITPs can see many sides to an issue. They enjoy debate, but unlike many people who stick to their position regardless of new evidence, ITPs are more than happy to change positions if proved wrong. Ti-dominant individuals are independent and prefer lots of privacy and alone time to dwell on their own interests and passions. When they make decisions they will think through pros and cons, the logic involved, and whether or not things make sense to them. They don’t especially care about pre-established rules and structures; they are more concerned with effectiveness and efficiency. Dealing with bureaucratic “red tape” and social regulations simply slow them down and irritate them. ITPs don’t “talk out” their thought process; they keep it internalized. They may seem spontaneous to other people because instead of discussing their plans in-depth, they will quietly analyze them, and then act. To the outside world what seems spontaneous may actually have been the result of much intense thought. ITPs enjoy problem solving and mentally challenging themselves. Phrases like “What’s the logical method?”, “Does this make sense?”, “I’ll leave you alone to figure it out”, and “Can you think about this for me?” tend to get their attention. They like to be given plenty of time alone to process information before making a decision. Pushing them to decide is a sure way to irritate them. INTPs are skeptical, big-picture focused, and fascinated by theoretical subjects. They pair Introverted Thinking with Extraverted Intuition (Ne). This means that they enjoy exploring numerous theoretical possibilities for the future. They like to innovate and experiment with ideas and concepts. They are imaginative and will use metaphor and analogy in their speech. They may jump around from one idea to another as they talk. ISTPs are realistic, practical, and highly engaged in the physical world. They like to make the most of immediate opportunities and possibilities. ISTPs want to use their thoughts to engage with the world in a physical way. Instead of tinkering with ideas and concepts, they will often tinker with objects, tools, and mechanical arrangements. They are just as analytical as INTPs, but they want to put their analysis to a practical, hands-on purpose. They tend to speak in a straightforward, sequential order, relying on facts and details to prove their point. ENTJs and ESTJs lead with a judging function called Extraverted Thinking (Te). Te-dominant personalities are extremely goal-oriented and productive individuals. They are the most likely of any of the types to have a “Type A” personality. These logical thinkers aren’t satisfied with learning just to learn. They learn to do. They want to take in just enough information as is necessary to move forward. They want to always be producing and always stepping further towards their goals. ETJs consider the pros and cons and cause and effects of situations when they make decisions. They want to apply logical order to their outer world and have no problem directing and delegating to get that done. They aren’t swayed by emotions or personal values, but trust facts and empirical evidence. They tend to be assertive and generally enjoy leading other people towards a common goal. They are very confident in their decisions and have no qualms about letting other people know how things “should be done”. Te-users will discuss their decisions. You will often hear their thought processes out loud as they try to determine the best possible choices. Unlike Ti-users, who keep their decision-making process internalized, Te-users will discuss, plan, and outwardly conduct their choices and plans. They are good at creating diagrams, spreadsheets, and to-do lists to organize their goals. Because ETJs are so planful and productive, phrases that excite them might be “Let’s cut to the chase”, “What’s the plan?”, “Can you take charge of this project?” or “Let’s get to work”. ENTJs are strategic, visionary, and ruthlessly rational. They have an innate ability to lead and take charge of situations. They have auxiliary Introverted Intuition (Ni) which gives them a good grasp of the big picture and how different scenarios will play out in the future. They may skip over details when they speak, focusing on what “will happen” based on a strategic set of events. They will use innovation and vision to lead them and are drawn to trailblazing new ideas and ventures that have never been done before. ESTJs are dedicated, strong-willed, and reliable. They are driven to apply common sense and practical knowledge to existing situations to simplify them and make them run more smoothly. They are excellent at creating order and security in their environments. ESTJs will usually speak in a direct, clear, sequential order. They will use facts and details to back up their assertions, and because they have auxiliary Introverted Sensing (Si) they will often pull from personal experiences and the “tried and true” techniques they’ve learned throughout their lifetime. INFPs and ISFPs lead with a judging function called Introverted Feeling (Fi). Fi-users are caretakers of their emotions and values, and they hold very tightly to what they believe is right. They are individualistic and compassionate, with a highly independent set of ethics and ideals that they mold and perfect throughout their lifetime. IFPs look at their values and morals when they make a decision. Are they being true to themselves? How will this decision affect them emotionally? Is this right or wrong? IFPs keep their feelings internalized and private unless they trust someone very well. What you will see most often is their auxiliary function, Extraverted Intuition (for the INFP) or Extraverted Sensing (for the ISFP). Physically you may see their emotional reactions (they may cry more easily than thinking types) but they tend to not lay their feelings out on the table like Fe users do. IFPs don’t like to push their values on other people and see everyone as a unique, one-of-a-kind individual. They detest generalizations and are extremely good listeners. IFPs usually have a cause or select group of people or animals that they care deeply about. They are usually very passionate about this cause and will devote their lives to it if necessary. Joan of Arc is a good example of an IFP fighting for a cause. IFPs need a great deal of alone time to process their emotions and feelings. They appreciate hearing statements like “Take all the time you need”, “If you need some time alone I understand”, “Can you tell me about your latest idea/project?”, “Can I talk to you alone and get your thoughts on something?” “Thanks for listening to me! I’d love to hear what’s on your mind”. INFPs are idealistic, imaginative, and drawn to the theoretical. They are driven to explore numerous ideas and possibilities for the future. They are usually very creative and enjoy creating stories and unconventional concepts in their mind that are nuanced and beautiful. They are often drawn to music, arts, and movies that portray the human condition. They are more concerned with what “could be” than what is happening right now. ISFPs are intensely curious, empathetic, and realistic. They tend to express their feeling side in artistic ways, through drawing, creating, dancing, or performing. They use their sensing side to respond in-the-moment to new life events. They are practical, down-to-earth and kind. ISFPs are open-minded and have a warm “live and let live” mentality. They are more focused on the moment than what could theoretically happen in the future. ENFJs and ESFJs lead with a judging function called Extraverted Feeling (Fe). Extraverted feeling types are expressive, warm, and excellent at connecting with others. They instantly know how to read a room and reach out to everyone to make them feel accepted and comfortable. They easily sense the emotions of other people and may even have difficulty separating those emotions from their own. EFJs may cry when you cry, laugh when you laugh, or feel your emotions with you deeply. When it comes to decisions, EFJs will consider the harmony of others when they make a decision. They will ask themselves how the decision will affect everyone involved and whether it is ethically right or wrong. They are very adversely affected by conflict and try to maintain positive morale as much as possible. They are often described as “bubbly” and enthusiastic. When it comes to communication, EFJs are usually very expressive and passionate. They are polite and usually very aware of social graces and how to communicate effectively. They express their emotions and feelings readily, and will try to find common ground with the people they interact with. EFJs tend to “vent” and express their frustrations readily. They are extremely aware of other people’s emotions, but may struggle with understanding their own. For this reason they will often seek out friends or family members to talk to about their emotions. Statements that grab the attention of Fe-users include “I really need some help with a personal problem”, “Can I ask your advice?”, “What’s your opinion?”, or “How do you feel about this?”. ENFJs are charismatic, passionate, and future-oriented. They have auxiliary Introverted Intuition (Ni) which gives them insight into how things will likely play out in the future. They focus on the big picture and notice impressions rather than details. They are inspirational and insightful, and are often drawn to the theoretical and abstract. ESFJs are practical, kind, and responsible. They have auxiliary Introverted Sensing (Si) which gives them a respect for traditions and the “tried and true” technique. They are detail-oriented and down-to-earth, and they know how to focus on the present moment and what needs to be taken care of right away. They are planful and true to their word. They are very aware of practical daily needs and are excellent hosts. Was this helpful to you? Do you have any extra trips? Share with us in the comments! Hey, I have a question. How do illnesses like aspergers affect the MBTIs? Hi! At this point, not a lot of research has been done on type and mental illness, mainly because the funding hasn’t been available I don’t think for organizations who are interested in doing so. I’ve found this article by Oddly Developed Types: http://oddlydevelopedtypes.com/content/intps-and-aspergers-syndrome-0 that talks about possible links and misdiagnosis of aspergers to INTP/INTJ types, but there really isn’t a lot of other information! I will let you know if I find more. I think we Ne – users improvise a lot and drift away on tangents at any time.